Dr. Warren Nichols has been named president of the College of the Mainland by the college board of trustees and will start at COM Feb. 13. “We are thrilled to have Dr. Nichols on board because he brings a vast amount of experience to COM. He’s been the president of a community college and supervised presidents of community colleges in Tennessee. He has a great deal of political acumen and he’s worked with a state legislature in establishing programs. He’s the right guy at the right time,” said Wayne Miles, COM board of trustees chairman after the board’s unanimous vote Jan. 30. 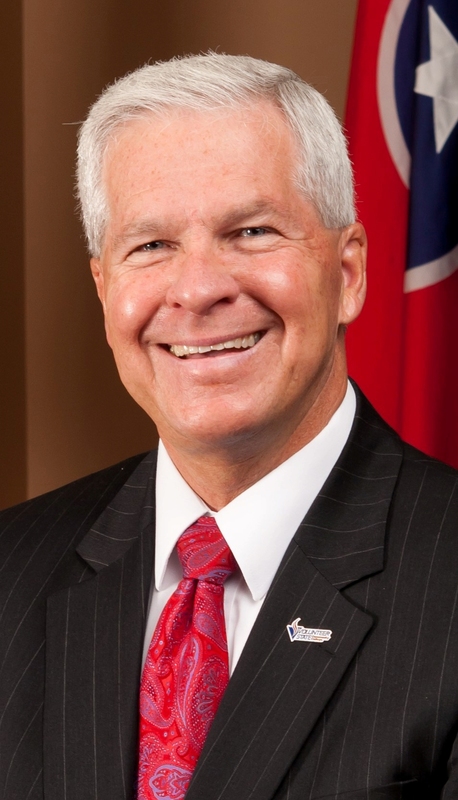 Nichols previously served as the vice chancellor of community colleges for the Tennessee Board of Regents, which leads the 13 community colleges in Tennessee. Partnering with the community, staff and students will be a priority, Nichols said. “I’m a big proponent of getting the community to view the college as a meeting place and resource,” said Nichols, who has worked with establishing innovative programs for students. As president of Volunteer State Community College in Gallatin, Tenn., he collaborated with local bankers to create a short-term bank-teller program that was highlighted in the Wall Street Journal. In an effort to improve college preparedness among high school students, he expanded the college’s dual enrollment offerings to serve more than 1,200 students in 12 counties. He launched international and diversity initiatives, which resulted in an increase in graduation rates for African-American and Hispanic students. “Nichols grew Volunteer State Community College to a record student enrollment of nearly 9,000 students. He also led the college through an $8 million rebuilding and renovation project of 13 buildings damaged by a tornado in 2006. A native of Fort Worth, Nichols holds a doctorate in higher education administration from the University of Houston after earning his master’s and bachelor’s degrees at the University of Texas at Arlington. He began college at Tarrant County Junior College in Hurst, Texas and started his career a police officer in Arlington, before later transitioning to the field of higher education. Nichols is listed in the International Who&#39;s Who of Professionals. He serves on the board of directors for the Gallatin Economic Development Agency. He is a Rotarian and a two-time Paul Harris Fellow.